From Farewell Francesco to Bye Bye Bob – Turmoil at Swansea City AFC. As most of the UK were preparing to return to work after Christmas, one man wasn’t. On the evening of the 27th December, Swansea City released a statement starting with ‘…Search begins for a new manager.’ I’d be lying if I said it wasn’t expected. In early October, Swansea City parted with then manager Francesco Guidolin, following losses in five out of six of their early-season Premier League games. The appointment appeared slightly harsh given Swansea’s spirited display against Liverpool in the game before Guidolin’s departure, but closer insight into Swansea’s 2016/17 record speaks for itself. American owners Jason Levien and Steve Kaplan decided on fellow Yank Bob Bradley as Guidolin’s replacement, a questionable appointment. Despite obvious human association due to their shared nationality, it was later confirmed that Levien and Kaplan had never met Bradley, and chose him as a result of his character and strong showing as Egypt’s manager. 11 games and just two victories later, it’s clear that the gamble hasn’t paid off. A shambolic defense, and Bradley’s apparent inability to sort out the back four has resulted in the sacking of the American. 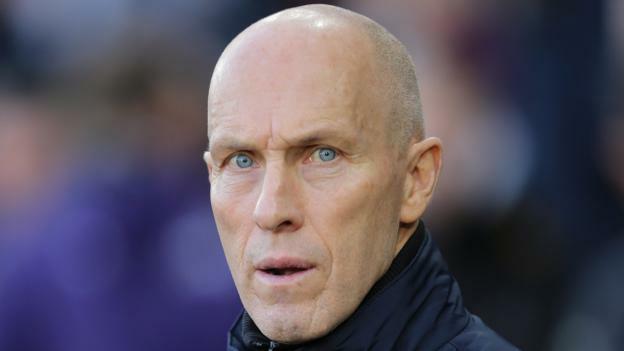 Bob Bradley was sacked after just 85 days at the helm. The question now for Swansea, is where do they go next? Is Ryan Giggs the answer? Another inexperienced manager? Or is Alan Pardew the way forward? There is even some talk of Chris Coleman being persuaded to turn the Swans’ fortune around. I believe that Ryan Giggs could be the man to save Swansea. Experience of the top flight is paramount, but instant results are even more so. And can a man who hasn’t managed permanently before promise that? A key question for the Swansea board that needs answering, and soon.